Beautiful log cabin with mountain views in nice area. 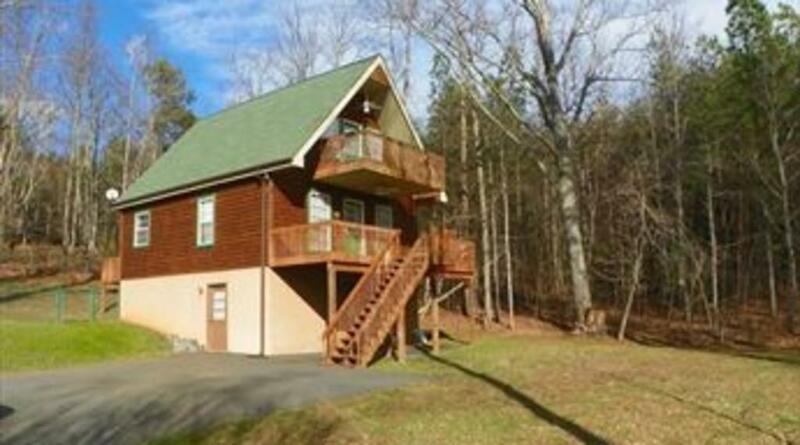 Cabin features 3BR/2BA with 2 queen beds and 2 twin beds. Nice game room for those rainy days or quiet evenings. Dining for 6 at the table. Combination kitchen, dining, and living room. 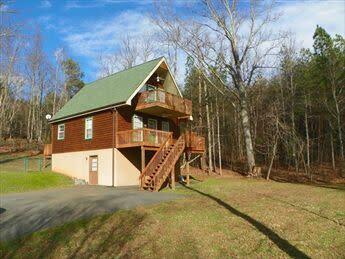 Cabin is furnished very nice with everything you need for you vacation. Game room has a combination pool/ping pong table, foosball, pinball machine and board games and TV. 2 decks on front of cabin and large deck on back with gas grill. Don t wait to make your reservation. Wi-Fi equipped.